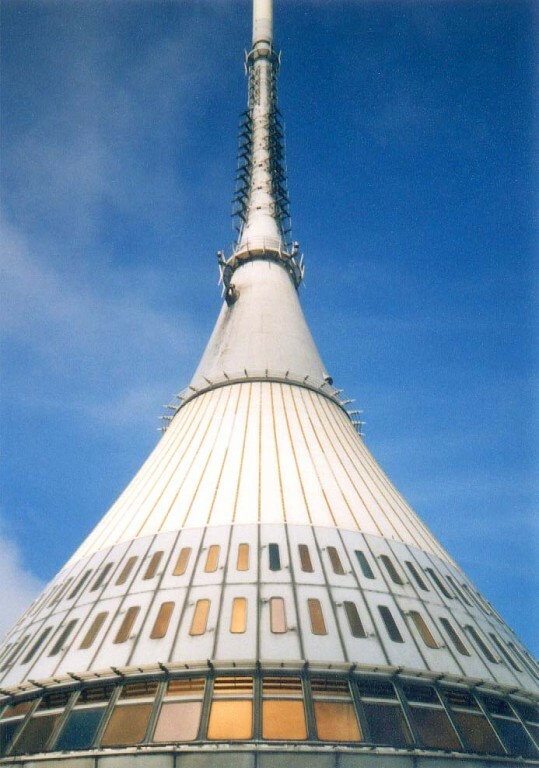 Ještěd Tower is a reinforced concrete construction with a shape called hyperboloid, built between 1963 and 1968. Its architect was Karel Hubáček. The shape was chosen since it naturally extends the silhouette of the hill and moreover well resists the extreme climate conditions on the top of the hill. In the Tower's lowest sections it contains a hotel and a tower restaurant. It serves as a dominant attraction in the city and as a place to oversee much of Bohemia and parts of Poland and Germany.